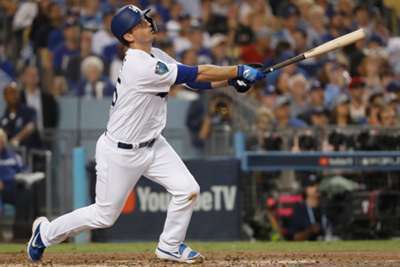 The Los Angeles Dodgers have re-signed infielder David Freese to a one-year deal, the team announced on Thursday. Freese, 35, had one year remaining on the three-year, $11million contract he signed with the Pittsburgh Pirates in 2017. He was due $6m in 2019. Los Angeles bought out Freese's contract for $500,000 and re-signed him to the one-year deal worth $4.5m, according to Fancred Sports.